 Our modern open-plan studio apartment homes feature private balconies or private patios opening out onto the Crown’s private interior courtyard. Each unit includes a washer/dryer and is uniquely designed with high end materials and finishes.  The open floor plan offers a comfortable living space surrounded by WeHo’s inviting neighborhood.